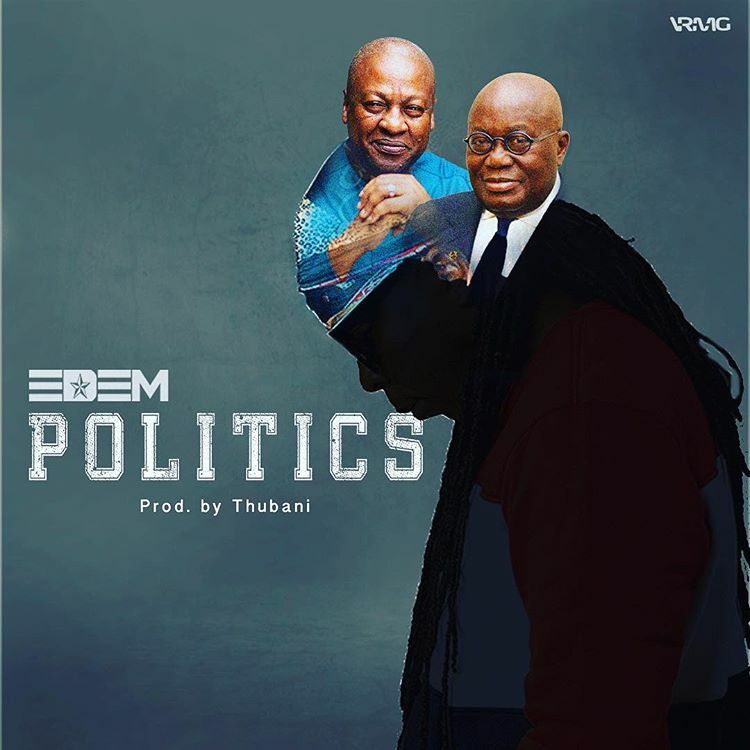 Rapper Edem manages to blend jokes with some seriousness as he discusses topical political issues in his latest afrobeats song. Titled “Politics,” the TubhaniMuzik-produced jam tackles how the Ghanaian economy has been politicised instead of finding solutions. In the 2:46 minutes mid-tempo song, Edem creates an exciting jam by joking about the cedi depreciation and the excuses by Dr Mahamudu Bawumia. “Give me the Akufo-Addo, do the Mahama dance…fundamentals are weak,” Edem sings. He also tackles political vigilantism and President Akufo-Addo and John Dramani Mahama’s slow approach to disbanding the groups. Edem further blends Shaku Shaku, Azonto and Al Qaeda dance in the end of the song – creating a unique dance vibe.